How good can life be? 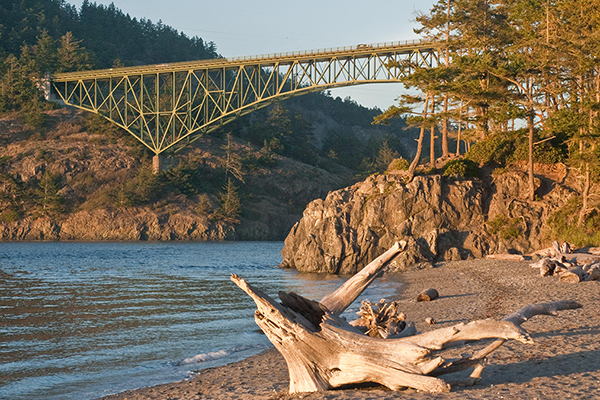 There’s a special spot in Deception Pass Park where you can put your feet up and find out! Come to the park this Saturday for the last concert in the American Roots Music Series, an annual event that takes place Saturday evenings in July. The rustic amphitheater near West Beach in the park is surrounded by trees, with the bleachers staggered up the hillside, so all the seats have good views. You can park close by, so it’s an easy walk. But the best part is the water view, and looking up at the magnificent bridge. Anyone camping in the park or coming from outside is welcome. You must have a Discovery Pass, or pay $10 to get into the park if you’re not camping, but the music—and the beauty—is free. 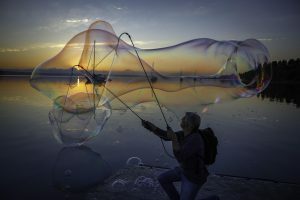 The program is supported through grants from the National Endowment for the Arts and the Washington State Parks Foundation, with additional support from Northwest Heritage Resources. 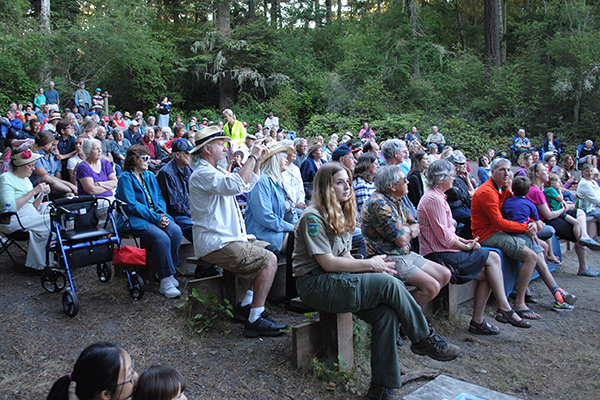 “There are plenty of folks who come to all of the concerts,” said Deborah Fant, coordinator of the Folk & Traditional Arts Programs at Washington State Parks. “I met a couple last year who come to each concert. I’ve already seen them at the one on the 4th this year. 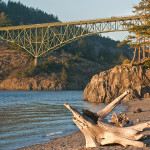 Some local Whidbey Island residents come each week, and many parks campers come as well,” she said. Diane and Paul Reardon are one of those couples, and each week they invite friends to have a picnic on the beach and then finish with the concert. They choose different places throughout the park, and each location has a different view. Last Saturday they heard the smooth, jazzy music of Hawaii, played by the group Kohala, a trio of string players. “It’s a gift,” Reardon said of the music, who brought two other couples with them. More than 150 people were there to see Kohala, quietly attentive. Some of the younger listeners were sleeping in their parent’s arms. Along the sides of the bleachers, there were people in camp chairs, on blankets. The weather was perfect, the cool air drifting up from the water only feet away. This Saturday, as the last in the series, the music group The Onlies will touch your heart with their original and traditional fiddle-driven music. It’s a young group; they still attend Seattle’s Garfield High School, but they’ve already been performing across the country. 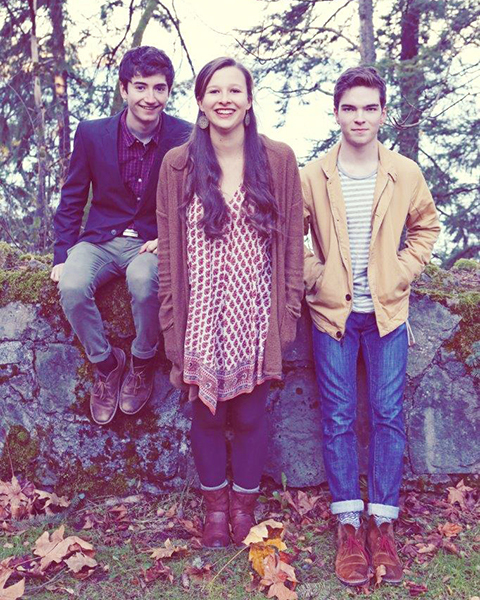 The trio has been playing music together since they were children. Members Leo Shannon, Riley Calcagno and Sami Braman play fiddle, guitar, mandolin, banjo, and piano and they’ve developed a strong fan base. They will be singing original songs, traditional fiddle music, or putting a new spin on the old ones. Video and audio clips of their music can be found at: https://www.youtube.com/user/beach3fiddlers. As young musicians, they all have other hobbies: reading, writing, listening to podcasts and blogs, teaching music to others and playing soccer. But music is their passion. According to their website, their latest CD “Long Before Light,” features 15 original and traditional songs, portraying each of their personal strengths and passions and weaving them together to form a warm, joyful sound that reminds them of fiddle camps over the summer. The group released its first LP, “Setting out to Sea,” in 2013 and an EP, “The Day that Never Was,” in 2011. To read more about the group, go online to: http://www.theonlies.com. Deb Crager is originally from the Midwest, but has lived on the island for 24 years. She wrote the book “101 Things to do on Whidbey Island: for a Day, a Weekend, or a Lifetime” available on iPad and Kindle Fire.